Boring tape stripes are so last year. Hang your prints and cards on the wall in the easiest and most stylish way or decorate and secure your notes in your favorite planner. 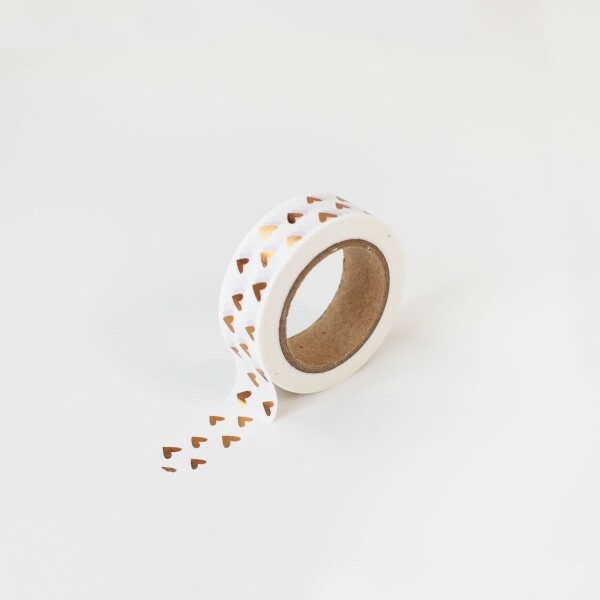 The transparent white tape with rose golden hearts is only a small detail but has a maximum effect!